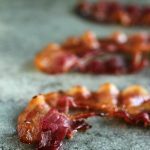 Simple recipe to make candied bacon inside your oven. Today’s recipe is Candied Bacon. 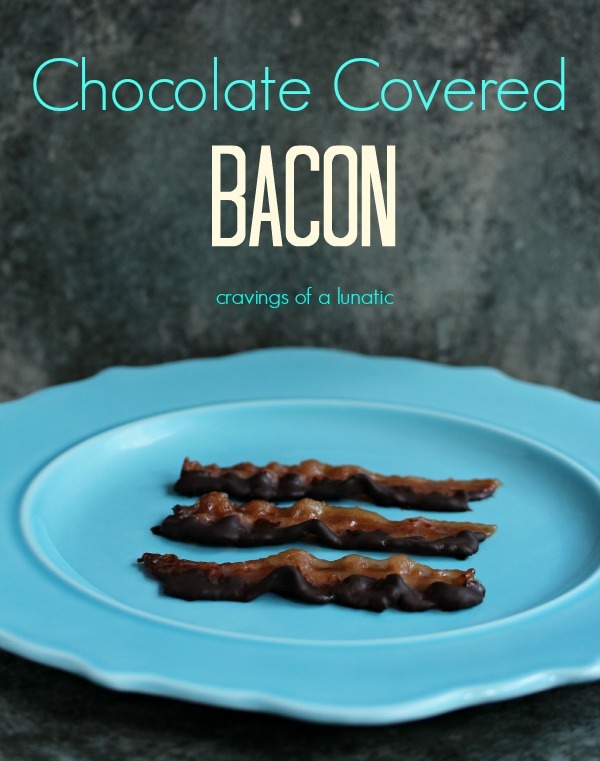 For those who have never had candied bacon you’re thinking “what the heck”…. for those who have had candied bacon you’re running into the kitchen to whip some up and screaming “get in mah bellah”! This stuff is the pinnacle of bacon…. in a little candy strip. it’s going to blow your skirt up. 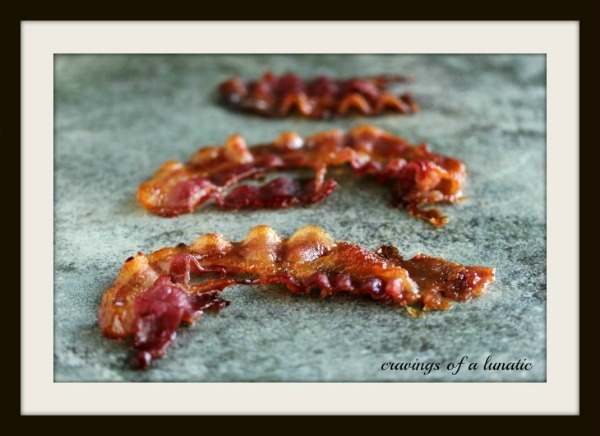 Recipe for candied bacon that is simple and seriously tasty! Prep cookie sheets (I used 2) by placing parchment on them. Set pans nearby. Scoop 1/2 cup of the brown sugar onto a plate. Take strips of bacon and dunk the bacon into the brown sugar. This part gets a bit messy but it's worth it. Make sure you turn it around and coat the bacon well. Lay the bacon on the parchment. Peek in and see how it's doing. Cook another 5 minutes. Check again and adjust time depending on how well done you like your bacon. You can cook for another 5 minutes if you like yours really dark. Remove from oven and pull the strips off the paper after a few minutes. Serve with a big old "oops I ate all the candied bacon and the serving platter is now empty" smile! You can use maple syrup and make a glaze. I was too lazy for that this time! Make sure you stop by all the other Brunch Week crew to see what they cooked up for you. It’s an impressive list! We’ll be at it all week. I’m participating every day except Tuesday. Tuesday is a post in memory of my Dad. 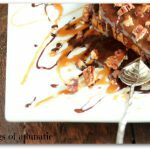 Sure hope you get to try this amazing candied bacon recipe. It’s really over the top good. Wildly addictive! Be sure to take a peek at my recipe index for more breakfast recipes. You can also follow me on Pinterest for more inspiration. 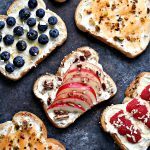 I have a fabulous breakfast board you can follow. Candied bacon?! You are killing me. I need to run to the store right now! What a fabulous way to kick-off #brunchweek. Thanks for sharing. Lol, it is pretty amazing. Hope you love it. 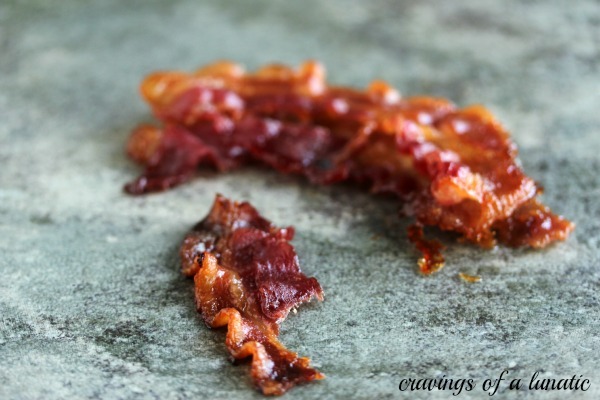 I love Candied Bacon – always a winner in my book. Happy Brunching! Me too. Happy Brunch Week. So as a new lover of bacon I feel like I need to experience candied bacon. You must. Like immediately. Like right now. I love candied bacon! And haven’t made it for ages. Mrs K R has been bugging me to make some for the last couple of months. Maybe it’s time again? 😉 Good stuff – thanks. It’s just so over the top and decadent. I love it. I could not stop eating it. You must make it again John, it’s been too long. Make the wife happy and whip some up. 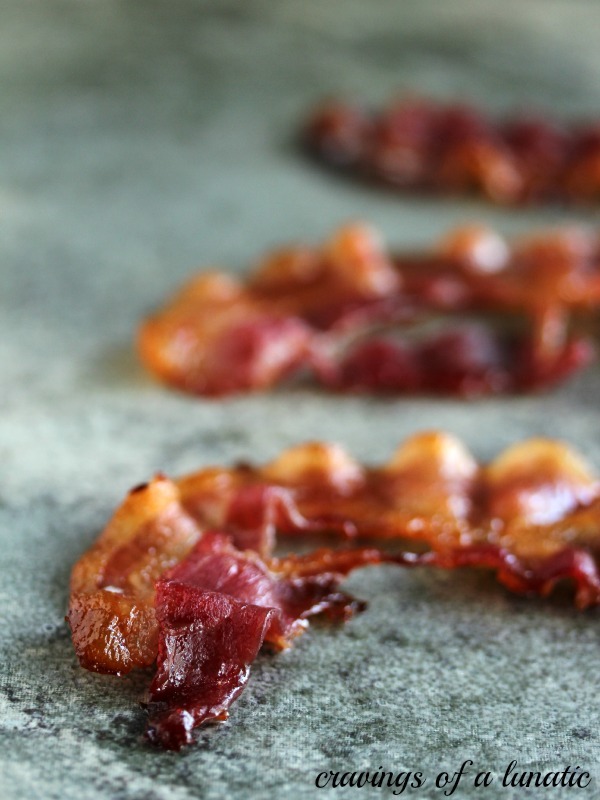 OMG candied bacon is like…it. It’s the stuff. I cracked up at your comment. It was so Canadian of you. I love it. I am so grateful that you posted this. We had candied bacon in a BLT salad in a restaurant, and I have been craving it ever since. That sounds delish, I bet candied bacon in a BLT is smashingly good. That’s a must try. Let me know what you think if you try it. Thanks so much Kesha. Hope you love it. 🙁 Should have read the terms for entry first. Canadians left out again! Oh well, maybe some other time. I’m Canadian myself so I can totally relate. This is the first giveaway I’ve done without including my own country, feels so flipping weird. Actually that sounds lovely. Some days simple and classic are best. Happy Sunday Andrea. I dice the bacon, then toss it with the sugar and bake, then use it to garnish things like Elvis Cupecakes! Very cool idea Rae. I have some set aside for an amped up salad. Super excited. 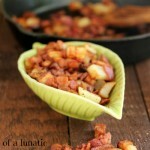 I’ve done this before & LOVED it, but my family wanted regular bacon…boring! I can’t blame you, what’s not to love about candied bacon right. My daughter is the same way as your family. She saw me candying it and was upset. Apparently I was “wasting” bacon. Lol. Thanks so much Sharon. I’m so happy you like it here. Stop by any time. If you ever need any help shoot me an email. 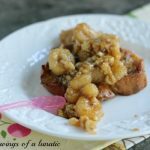 Yummiest savory food made sweet – perfect! This is my favorite post of Brunch Week. I know right. Normally I’m not a huge sweet/savory gal but this stuff rocked my world. Thanks o much, that’s high praise and makes me super happy. I am firmly in the “get in mah bellah!!! !” camp! Holy moly this looks amazing! Thanks lady. I love this stuff. I was shoving it my pie hole at an alarming rate. As if candied bacon weren’t enough… 🙂 Thanks so much for this fantastic giveaway opportunity!!! Thanks so much Kim. Good luck. 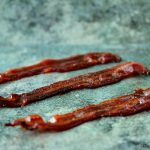 Every time I saw your post title, I kept thinking it said “Canadian Bacon.” A recipe for candied bacon sounds much better. Lol Suzanne. I am Canadian so I could likely pull that off. Or maybe Candied Canadian Bacon. That would be awesome. Thanks for visiting. I was hoping some of them would be Canuck friendly, always a bummer when we get left out for sure. 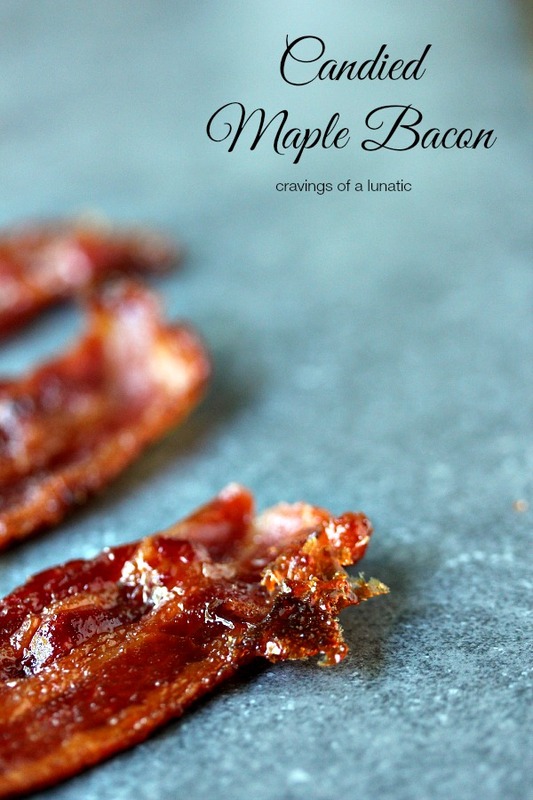 mmmm I love me some candied bacon… my mouth is watering! Candied bacon sounds out of this world. I’ve never tried candied bacon but it sounds really delicious. My favorite brunch food is quiche or an omelette. candied bacon: it’s the thing you think maybe you’ll eat one of and instead you eat like, all the bacon. I’ve been making this for a number of years and so I can really tell you that it is positively addicting! Everyone loves it. The only thing different i do is add lots of black pepper on top. Get that sweet, spicy, vibe going, you know. 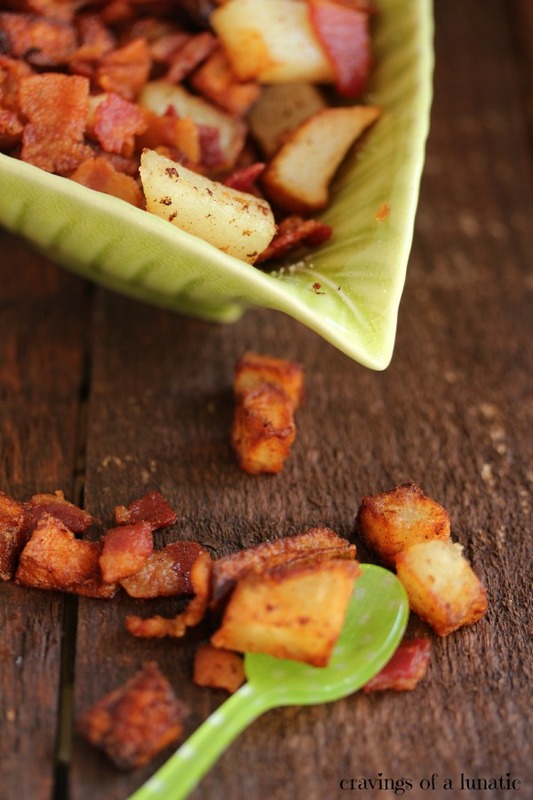 Or you can use black pepper bacon. I actually abhor black pepper. Isn’t that weird? Most foodies just love it. I won’t touch anything that has pepper on it. I always wonder what folks think when I make dishes that should have pepper on it but I never include it. Hubs picked me up black pepper pistachios once, let’s just say he never did it again. Bah ha ha! I made bacon jam and… ehhh… not sure I liked it. my favorite brunch food is croissants! This sounds amazing. My family will love it. Okay so is this a dessert or a savoury snack? Both? Candied bacon is SO yummy! My favorite use is crumbling it up in maple ice cream! Can’t wait to try this candied bacon! Oh….yum! You had me at bacon! Can’t wait to try it! It always brings a tear to my eye when I can’t enter these US-resident only contests 🙁 But at least I get candied bacon out of today’s post – I LOVE the stuff. No joke – I can pop it like candy. 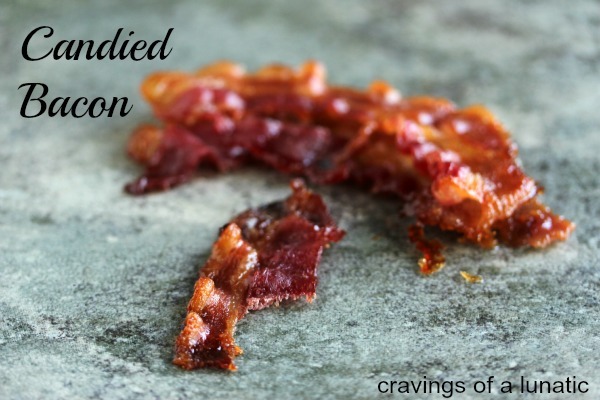 I candied bacon for chocolate chip cookies in the summer and it changed my world. I think we’d all be happier if we incorporated the stuff into our daily lives. I have always wanted to try this, but it would be so much easier if I could just reach into the computer screen and eat what you have already made! I don’t know if I can wait to make it myself it looks SO good! I know this post is older, but I just found it through a bacon pin on Pinterest (Love that bacon board of yours.) I’ve been making this for awhile now. I do add a bit of Cajun seasoning and chili powder for my hubby. He always asks for my sweet and spicy bacon now. He never really wants regular bacon anymore. In the South (Texas) we call this Pig Candy! Absolutely divine!